Connects to your iPhone, iPad, or iPod with usb to Apple Lightning Cable connector and charges/syncs by connecting the USB Connector into your Wall Charger or computer . The apple charging wire supports safe high-speed charging and fast data transfer . Compatible with iPhone 6s / 6 plus /5 / 5s ,Ipadmini ,Ipad air etc devices . High quality stylish jacket of the long iphone cord makes it stand out from bunch of cables and provides higher durability and increased flexibility with tangle-free,no-toxic,harmless,convenient,lightweight and easily coiled . 1. USB data cable design by USB 2.0, which can connect your iphone and computer USB port . with this Long Iphone Cord you can use your iPhone or iPad while it`s charging but the nearest outlet is a good distance away. Looking for ideal Usb to Apple Lightning Cables Manufacturer & supplier ? We have a wide selection at great prices to help you get creative. 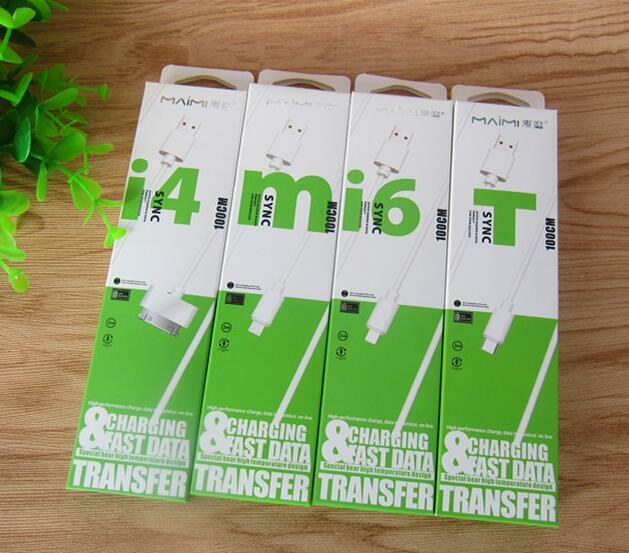 All the Apple Charging Wire are quality guaranteed. We are China Origin Factory of Long Iphone Cord. If you have any question, please feel free to contact us.